Bossy Italian Wife : Hoo-Rag Review + Giveaway!!! 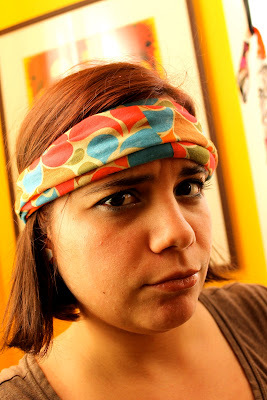 It's my first giveaway of the New Year and it's sponsored by Hoo-Rag--a company that makes bandanas!!! I was really excited to get mine in the mail. I picked the really fun one with a ton of colors in it because colorful is how I roll. Hoo-Rag originally contacted me because their bandanas are great for using in the kitchen, but I found, they are great for a multitude of uses. 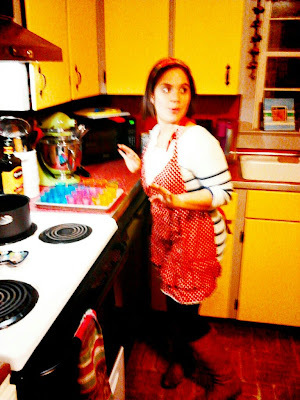 This is a cute picture my sister-in-law took of me making mini panna cottas for New Years Eve, wearing my Hoo-Rag. I was going to tie my hair back, but I decided instead to use my Hoo Rag! Good choice. This thing is super cool and keeps the hair out of my face. I also wore it as a head piece to work out in. In that arena, it was "okay" but it slid off my head a few times, which was annoying. I have a small head, maybe, so if you have a bigger head, this might work better for you. But it is moisture wicking, so that was a plus. 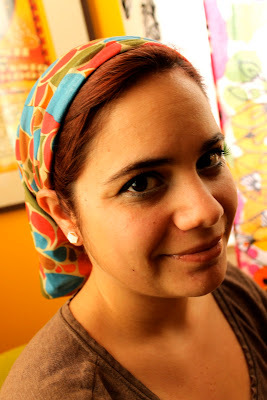 Aside from the functions of cooking and working out, there is a great amount of ways that you can wear these Hoo-rags, and since you all know how much I love having my picture taken, I figured I would share them with you! This is the classic "worker bee" style. I am keeping the hair covered and remaining functional. It's comfortable too. I call this one my "I'm going driving with the top down" look. Or even just the windows down. Classy, Hoo-Rag style! This one is the Rambo style! Fun and certainly one the 'gents will like to wear, this picture was just for fun. For a price point just under $15, these are not only affordable, but a great option for people looking for bandanas for their work or hobby needs. I know how people can take these things quite seriously, and if you are serious about your bandanas, then these are sure to fit the bill. They have a great selection of designs as well! I will be announcing the winner on FaceBook as well as the blog on Saturday, January 12th! 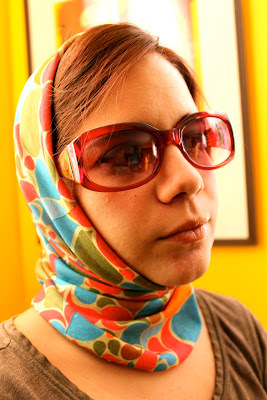 **Hoo-Rag sponsored this giveaway and review by sending Bossy Italian Wife two Hoo-Rags. I was not monetarily compensated for my opinion on the product, and all opinions expressed as solely my own! Ya heard? !